Like the Candy Box game, there’s a somewhat absurdly deep narrative embedded in these overly straightforward game mechanics. 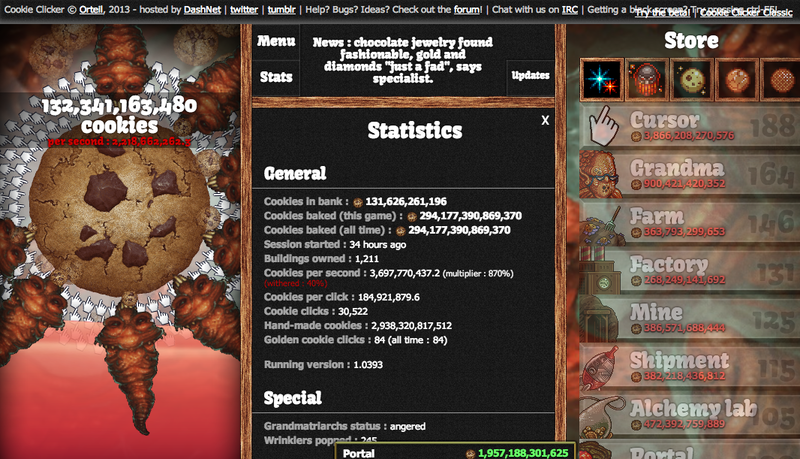 The premise is always very simple (like clicking a cookie to bake a cookie), and, before you know it, you start attracting alien cookie parasites. Anyhow, I’m reviewing it, because, games like these, you can leave running forever. It’s not enough to completely distract me, but always there, running in the background. Writing down my thoughts is a good way to conclude the experience and close the window for good. 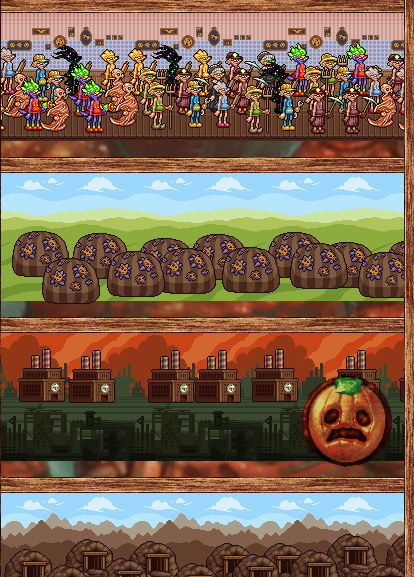 The upgrades and achievements can feel quite rewarding (addicting). My first impression was that such a game must produce interesting psychology and economics data. 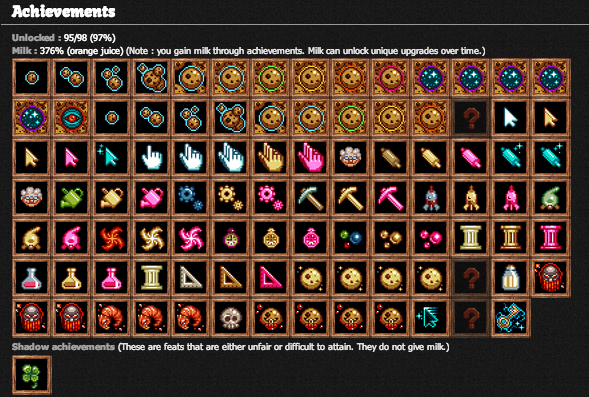 The Cookie Clicker wiki has a few charts and equations. My second impression is that this developer, Orteil, has built some cool demos. My favorite was Orteil’s universe generator. 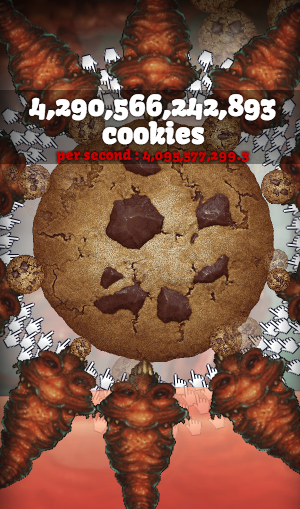 The challenges of Cookie Clicker are well configured for the amount of effort and seriousness of the game, although the last of the achievements are diminishing in returns. This is a game with many “multipliers,” some which which don’t make sense, at first, like the difference between cursors and clicking. Some of them still don’t completely make sense, like raspberry milk and kittens. Throughout, there are no truly bad decisions to make, besides closing the window and losing your parasite friends (before you can release your pilfered cookies). The game does a good job of maintaining your efforts, even when you do a soft reset. Final notable aspect is that it uses codes that represent game states to restore progress, like Candy Box 2.